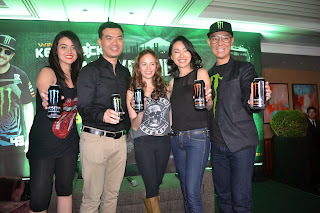 Monster Energy launched Ken Block's Japan Experience last February 5, 2013 at Makati Shangrila. The event was hosted by Kat Alano with special guest Ellen Adarna who invited everyone to unleash the beast with Monster Energy Drink. Full details of the event to be posted soon.